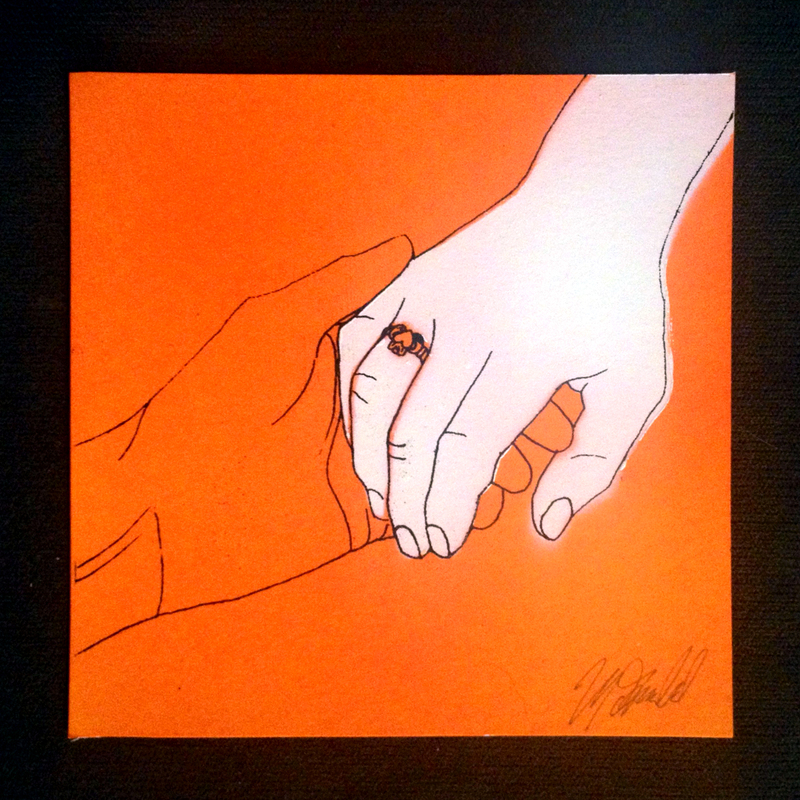 6″ x 6″ Art Print of the artwork from the EP A Failed Breakup. Spraypaint stencil and screenprint on bristol. Suitable for framing! Due to the printing process, every one of these is unique. There may be paint splatters and printing inconsistencies, so yours may not look exactly like the photo. Signed and numbered run of 24.